It has been about 11 months since the business-analytics start-up firm Tidemark came out of stealth mode, and it turns out they were a pretty busy 11 months. The company is announcing a bunch of important news today. The big piece is that its application is coming out of beta testing and is now ready for general availability; along with that, it is disclosing some of its customers — and one of them, at least, is kind of cool. The second is that it has hired Phil Wilmington as its new president and COO. He has been executive chairman since January. Wilmington was President at OutlookSoft, the company that he and Tidemark CEO Christian Gheorghe ran together — Gheorghe was CEO CTO — before it was acquired by SAP in 2007. Before OutlookSoft, Wilmington had been co-president at PeopleSoft until it was taken over by Oracle. You’ll remember that this is one of several start-ups aiming to attack the juicy vein of enterprise software that’s currently dominated by the Oracles and SAPs of the world, and more often than not by applications that tend to run on-premise. And naturally, like so many other upstart business software outfits these days, it runs it all in the cloud, or more precisely, the “software-as-a-service” model made so popular by outfits like Salesforce.com and Workday. One key problem holding it up is that data from one side of the business doesn’t get mashed up with data from another. What happens then is that enterprising executives try to do it themselves in Excel spreadsheets, which, even if you’re really good at building spreadsheets, isn’t optimal. 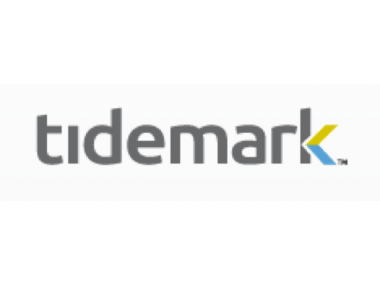 Tidemark’s play is to deliver real-time business data that has been adjusted for risk and assembled in consideration of all the strategic, financial and operational forecasting that has already been done. It also runs on the iPad or any other tablet or smartphone that supports HTML5, which shouldn’t be surprising anymore, but still is to me. Those three applications Gheorghe told me about last October are ready for general availability: Metrics Management and Management Reporting basically answers the “what’s happening?” question about a business with a more sophisticated “what is happening and why?” kind of approach; Enterprise Planning is a classic budgeting and forecasting app; and Profitability Monitoring — by product, customer and channel — tells you precisely which aspects of your business are profitable or losing money. Here’s the part where it’s time to name the customers. One CIO told me that he got his CEO excited to use Tidemark in a bar. That sounds a little sketchy, until you realize that the company is Pabst Brewing. CIO Ben Haines said that in the beer business, you sell via third parties. In this case, there are about 600 different distributors that it does business with, and all of them send data back to Pabst in different ways. “It’s all disparate, and we try to make sense of it and try to figure out what’s going on,” Hains said. Then there’s data from Nielsen covering what consumers are saying and doing, and then there’s shipping data coming from individual breweries. The challenge has been to mix them all up and make them useful. Not easy, that. Haines had built out systems running IBM’s Cognos, but said that it can be years before it’s up and running and tuned enough to deliver data you can actually use. “We don’t have that kind of time,” he said. “Most people run their companies on spreadsheets because their business intelligence applications haven’t kept up.” It used to be that Pabst would have generated about 400 different reports that different execs would have to have, and people might read them, they might not, and when they did, they had to hunt for the data they needed to do their jobs. One night in a meeting at a bar — it is a beer company, after all — Tidemark execs whipped out an iPad and showed Pabst President John Coleman all of the company’s live data at a glance, in a dashboard. He was an instant fan. Other customers being named today are also sort of cool. One is CEC Entertainment, which is better known as the company behind the 550-store Chuck E. Cheese pizza chain. The other is Platinum Hospitality Management, a manager and operator of mid-market hotels that works with Hilton and Marriott, among others. Tidemark also has some strong financial backing from venture capital firms, including Greylock Partners and Andreessen Horowitz, which invested $6.3 million back when Tidemark was still a stealth start-up called Proferi. Later rounds included Redpoint Ventures with Greylock and AH also participating, and as of January, Tidemark had raised a combined $35.5 million. Ben Horowitz of AH is a director. Aneel Bhusri, the former PeopleSoft CEO turned Greylock Partner who is also co-CEO at the soon-to-be-public Workday led Tidemark’s A round. Dave Duffield, another former PeopleSoft CEO and the other co-CEO of Workday, also invested in that round.